If you've got lumpia, sisig or sinigang on the brain, you're in luck: we've found the freshest New York City eateries to quell your cravings. 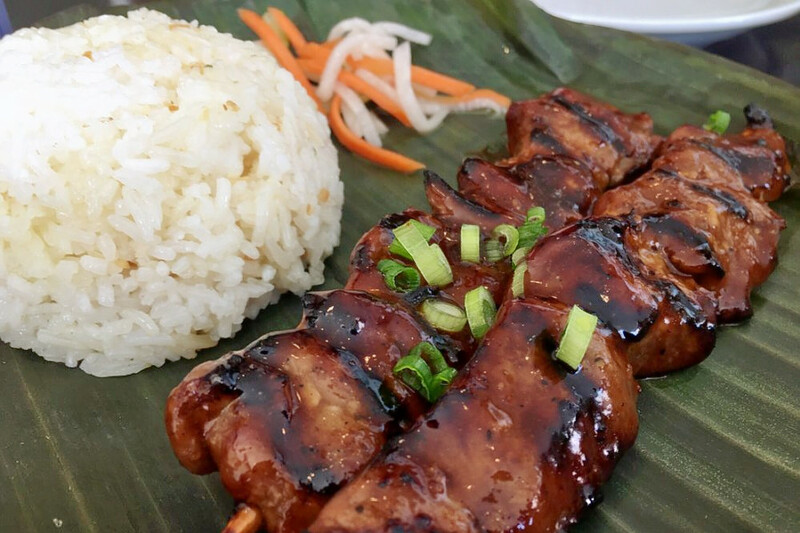 Here are the newest places to check out the next time you're in the mood for Filipino food. 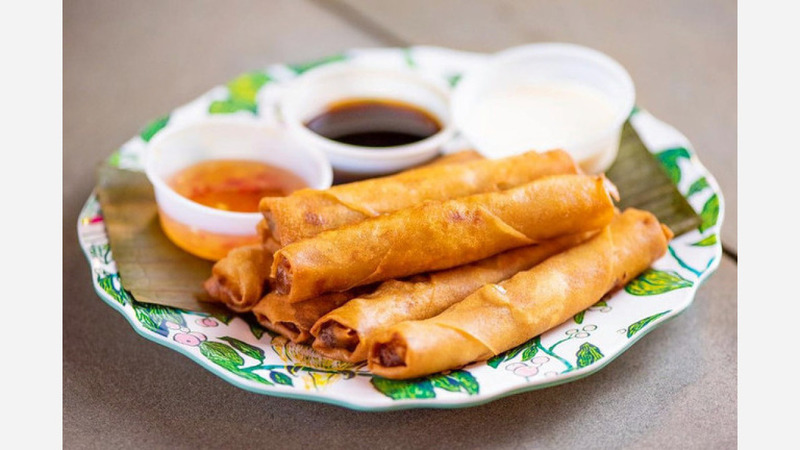 Lola's Lumpia is a pop-up, fast-casual Filipino joint now open in DeKalb Market Hall at 445 Albee Square W. until the end of June, with the owners looking for a permanent space for the restaurant, per a press release. The stand specializes in three kinds of lumpia (Filipino spring rolls): chicken, mushroom and pork. With a four-star Yelp rating out of four reviews, Lola's Lumpia has encountered a generally positive reception from patrons. 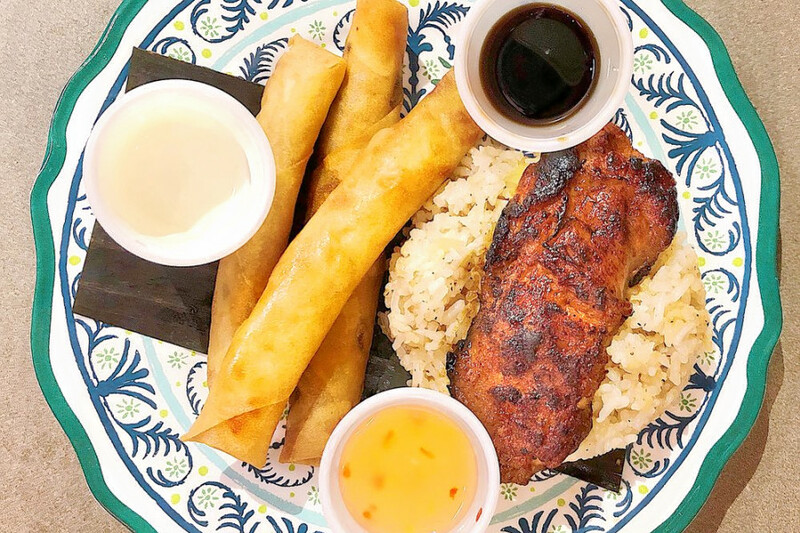 "Lola's Lumpia is great and just what Brooklyn needs in a fast-casual Filipino place," wrote Yelper Jia C., who praised the chicken and mushroom lumpia. "The pork was a little dry. With that being said, this is the place to get lumpia as Lumpia Shack closes down for renovations and unsure of when they'll reopen." And Yelper Sean R. enthused, "Five stars all around! Reminds me of my grandma's home cooking. The yogurt & sweet/spicy sauces are great with the lumpia." Lola's Lumpia is open from 11 a.m.-9 p.m. on Monday, Tuesday and Sunday and 11 a.m.-10 p.m. on Wednesday-Saturday. Lahi is a Filipino restaurant located at 51-24 Van Loon St. in Elmhurst. The project of Philippines-born married couple Henry and Agnes Matibag is serving up a menu of Filipino homestyle classics, as the New York Times reports. On offer are dishes like sisig baboy (crispy pork belly hash with onions, also available in "taco" form) and sinigang: a tamarind-based soup with pork, taro root and vegetables. Diners can round out the meal with desserts like the fried banana roll with coconut milk sauce or the halo halo shaved ice with flan and fruit. Lahi currently holds four stars out of 28 reviews on Yelp, indicating good reviews. "Their sisig are both good -- either pork or the fish," wrote Yelper Bing R., who reviewed Lahi on June 6. "They make excellent crispy pata. The crispy pork in dinuguan sauce (black like squid ink) is also very good. This is true Philippine home cooking! Not greasy." And Yelper Belle L. added, "The price and the amount of food that was given is simply worth it. The atmosphere is also very welcoming and friendly and it really feels like I'm going to my mom's house for food." Lahi is open from 11 a.m.-9:30 p.m. Monday-Thursday, 11 a.m.-10 p.m. on Friday, 9:30 a.m.-10 p.m. on Saturday, and 9:30 a.m.-9 p.m. on Sunday. Kanto Grill is a Filipino spot serving cafeteria-style food available for both dine-in and takeout. 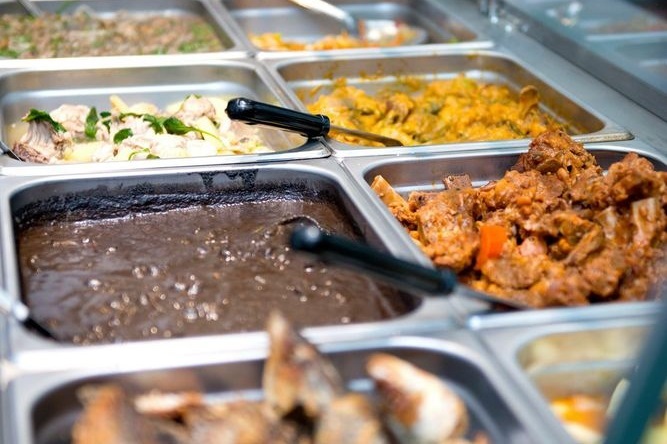 Located at 214-69 Jamaica Ave. in Queens Village, it also provides catering for special occasions. With a 4.5-star Yelp rating out of four reviews on Yelp, Kanto Grill has been earning praise from customers. "The food was exceptionally delicious, the place was extremely clean, service was excellent and there were a lot of choices on the menu," said Yelper Jvstxn R., who was the first to review the new spot on April 12. And Yelper John Marlo M. had a recommendation: "One thing that's a must have is their bananacue. It is an amazing juicy barbecued banana glazed in brown sugar. I don't know how they got a banana to be juicy!" Kahuna Wave is a breakfast and lunch-focused Filipino-Hawaiian spot, offering poke and more on the Lower East Side at 43 Clinton St. (between Stanton and Rivington streets). In addition to its specialty of customizable poke bowls, it offers breakfast sandwiches, Filipino plates and coffee and tea drinks. 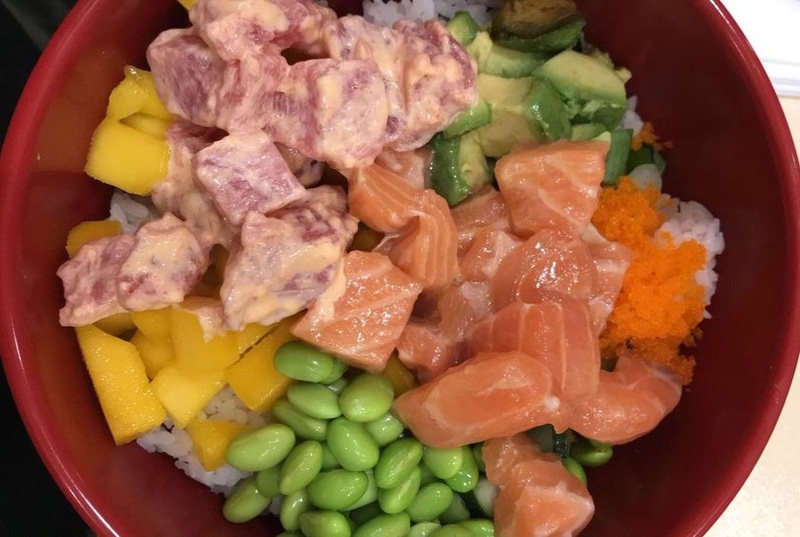 Customers can build their own poke bowls, starting with a base like rice or greens, then add proteins such as tuna, salmon or teriyaki chicken. To top things off, there are additional veggies like kale, green onions and soybeans and a choice of sauces. On the breakfast menu, look for Filipino classics like longanisa sausage with scrambled eggs and garlic rice, as well as breakfast skillets and the omelet with spinach, olives and goat cheese. With a 4.5-star rating out of 13 reviews on Yelp, Kahuna Wave has been getting positive attention. "The Tocino Breakfast Bowl is gluttony translated into a $8 dish. The pork is seasoned and cooked home-style, and it's all soaked up by the rice. Add the silkiness of an egg ... and you've got some edible magic," said Yelper Ruwan J., who returned to the spot four times. And Yelper Ellen P. wrote, "The service here is so nice. ... Very casual and comfortable. I heard the server greet a regular by name, which is always appreciated in a neighborhood-y area like this. Also, it's a clean space without seeming sterile." Kahuna Wave is open from 7 a.m.-5 p.m. on weekdays and 9 a.m.-5 p.m. on weekends.